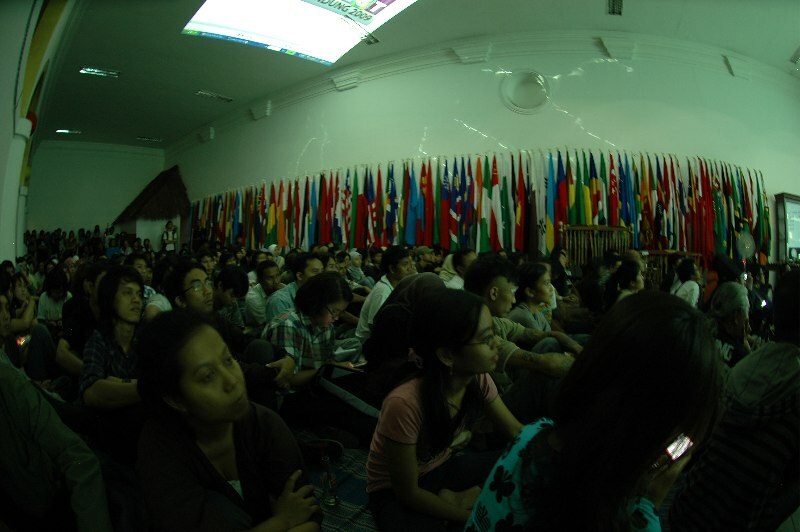 Some times ago, on the 6th of November, i went to the Pecha-Kucha Night #7 in Bandung, in Gedung Merdeka, Asian African Conference Museum. Such an interesting activity, to share idea in a 20×20 format (20 slides x 20 seconds/slide) for each presentation. But, maybe what makes this Pecha-Kucha interesting (at least for me), because of there were subjects of astronomy presented in the Pecha-Kucha. 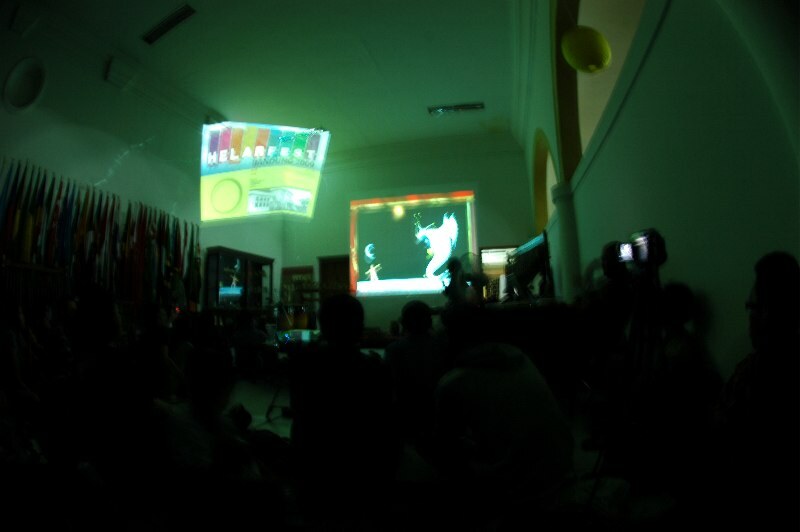 My friends gave presentation about our work in ‘archaeo-astronomy’ (Astronomy & Borobudur) by Irma Hariawang & ‘etno-astronomy’ (star-lore of Indonesia) by Yatny Yulianty. Well, i hope this would enlight general public, that astronomy is not only about ‘space above & beyond’, but also part of the culture, heritage & the way we are. Afterall, this is IYA 2009, what else that we expect from astronomy, but to enrich our life in the universe?